A horse lucky enough to graze on pasture will consume enough essential fatty acids to maintain his health. The word “essential” has a scientific meaning in this context – it signifies that the fatty acids cannot be produced by the horse’s body and therefore must be included in the diet. There are two such fatty acids: alpha-linolenic acid (ALA), an omega 3, and linoleic acid (LA), classified as an omega 6. If deficient, the horse will experience problems relating to immune function and hormone regulation; skin, hoof and joint disorders; depression and aggressive tendencies1; and general malaise. A true deficiency is uncommon, but what we do often see is an imbalance between ALA and LA (omega 3 and omega 6), created by the over-supplementation of oils that are high in LA. The ratio of ALA to LA is important. While some LA is required in the diet, too much has been shown to produce an inflammatory response.2 Omega 3s, on the other hand, reduce inflammation. The fat content of pasture grasses and legumes varies with growth stage, species, and climate, but on average, pasture contains 2-4% fat. Of that fat, the ratio of ALA to LA is about 3:1 to 4:1.3 Once pasture is cut, dried and stored as hay, its fatty acids will start to oxidize. The longer the hay is stored, oxygen, heat, sunlight, and humidity will take their toll; more oxidative damage will occur and the essential fatty acid content will dramatically diminish. So some supplementation is advised. What are the correct ratio and requirements for horses? The ideal ratio of omega 3s to omega 6s has not been formally established. It makes sense, however, to strive toward the ratio that naturally exists in grasses: three to four times more ALA than LA. There are also no studies with horses that state the exact requirements for ALA and LA amounts. However, we can extrapolate some information from what a full-sized horse in a pasture setting would naturally consume. Pasture contains an average of 10 mg of ALA and 2.5 mg of LA per gram of dry matter during warm growing seasons.4 Assuming that a horse eats 22 lbs (10 kg) of grass dry matter per day, he would ingest 100 grams of ALA and 25 grams of LA. Whether the horse actually requires this amount is unknown. In fact, this amount would be nearly impossible to reach through supplementation. Ground flaxseeds, for example, contain 6 grams of ALA and 1.6 grams of LA per ounce (28.4 grams). Some essential fatty acids remain in hay, but the amount depends on condition and duration of storage. So, how do we know how much supplement to give? It depends on the source. Commercially fortified feeds will typically add 3 to 12% fat, theoretically supplying sufficient essential fatty acids. However, these feeds often contain 10 times more LA (omega 6s) than ALA because the fat sources commonly used are corn and soybean oils, both high in LA with little to no omega 3s. In addition, feedstuffs such as cereal grains and rice bran are much higher in omega 6 than omega 3. This inverted ratio makes it easy to understand that relying on commercially fortified feeds is less than ideal. Ground flaxseeds and chia seeds are easy to feed and relatively economical. They both offer an omega 3 to omega 6 ratio that mirrors that of pasture (4:1 ALA to LA). The nice thing about feeding these whole foods is that they also provide an additional source of protein, thereby improving the overall protein quality of the diet. Chia seeds offer the added benefit of forming a gel due to their high water-soluble fiber content, which helps promote digestive health. Flaxseeds have been fed for centuries with excellent results. They are best fed ground in order to provide improved digestibility and bioavailability of nutrients. However, disruption of the protective hull exposes the fatty contents to the air where they can quickly become oxidized. Boiling can also have the same effect. Therefore a commercially stabilized product will ensure a longer shelf life. Ground flaxseeds: Up to 2 ounces by weight (equivalent to 1/2 cup) per 400 lbs of body weight (120 ml per 180 kg of body weight). Chia seeds: Up to 2 ounces by weight (equivalent to 1/4 cup) per 400 lbs of body weight (60 ml per 180 kg body weight). Amounts can be reduced for overweight horses, and increased for horses with special needs, such as skin disorders, allergies, and inflammatory conditions. Flaxseed oil is also an option. Keep in mind, though, that the rate of oxidation is very high, even when refrigerated, so purchase the smallest possible quantity at a time. To offer a comparable amount of fat using oil instead of ground seeds, the dosage should be 1.5 tablespoons per 400 lbs of body weight (22.5 ml per 180 kg body weight). Flaxseeds contain cyanogenic glycosides that when moistened, trigger an enzymatic reaction leading to the formation of harmful cyanide. However, it is important to realize that these enzymes are inactivated by the acid in the horse’s stomach. Furthermore, stabilized flaxseed products utilize enough heat to inactivate these enzymes. If you are grinding them yourself, add ground flaxseeds last when mixing a moistened meal, and feed immediately. Another type of fatty acid, the longer chain omega 3 called docosahexaenoic acid (DHA), is especially helpful in cases where significant inflammation exists (e.g., obesity, joint, ligament and muscle stress, digestive tract disorders, respiratory problems, and recovery from injury or surgery). Although the horse’s body can convert ALA to DHA through a series of enzymatic reactions, only a small percentage actually goes through this conversion. Therefore, it may be better to supplement DHA directly. Fish oils are high in DHA; however, horses are not fish eaters, and do not particularly like the taste of fish. In addition, fish oils may be too high in vitamin A (as with cod liver oil) or contaminated with heavy metals or organic pollutants. A safer and more palatable way to supplement DHA is to feed algal oil (from algae). Algal oil is a vegetarian source of DHA that supplies approximately 17% DHA. This translates into 4.8 grams of DHA per ounce. The average horse with an inflammatory condition would benefit from 1-3 ounces per day. DHA may also be useful to counteract depression.8 Lately, there is increased attention to depressive states in horses. Many owners describe their horses as having lost their spark, or are unfriendly or withdrawn. For these horses, once medical disorders are ruled out, it may be worthwhile to add this long chain fatty acid to the horse’s diet to assess its effectiveness on overall demeanor. Please note that fish and algal oils do not contain the other essential fatty acid, LA (omega 6). While LA should not exceed omega 3s, some is required; LA is readily available from other fat sources (see table below). Hemp seeds, like all seeds, are a good source of vitamins and minerals, as well as protein. 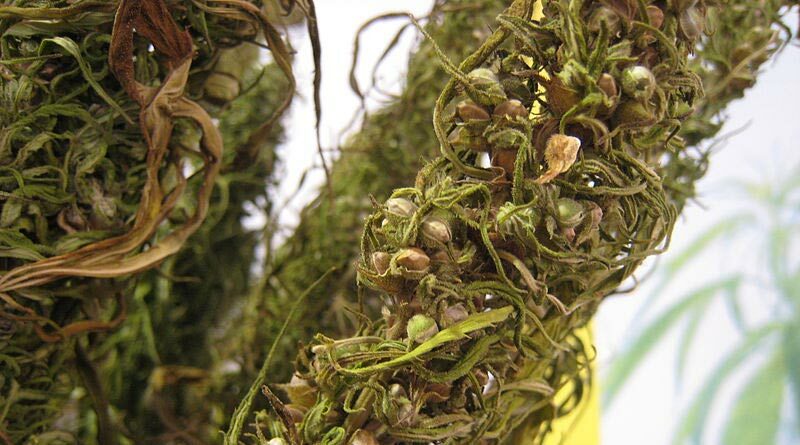 Hemp seeds, in particular, offer protein that is of exceptional quality.9 Although hemp seed oil has an inverted omega 3 to omega 6 ratio (with 2.8 times more LA than ALA), it has an added “secret weapon” that is not commonly found: Gamma linolenic acid (GLA). GLA is actually an omega 6 fatty acid, but, unlike other omega 6s that increase inflammation, GLA reduces it in humans, benefitting a wide array of chronic inflammatory-related illnesses including skin conditions, allergies, degenerative joint disease, heart disease, and diabetes.10 Although little research has been done on GLA in horses, it is reasonable to extrapolate its benefits to equine inflammatory conditions. Whether you feed hemp seeds or just the oil, the additional GLA is beneficial since it may not be adequately produced within the body. Its high LA content, however, still needs to be balanced with enough ALA from other sources. Pasture, or hay that is fresh and stored properly, along with dietary supplementation of high-ALA feeds and oils, will allow your horse to benefit from added hempseed products. By the way, in addition to hempseed oil, other oils containing GLA that are not currently marketed for horses are evening primrose and borage oils. Spirulina also contains GLA. Camelina oil offers an excellent alternative to flaxseed oil. It comes from the edible Camelina sativa seed, often referred to as “false flax.” It is high in ALA with a 2.4:1 ratio of omega 3s to omega 6s, and its shelf life is far superior to flaxseed oil. It is resistant to oxidative rancidity, making it highly stable. This is because of its remarkably high vitamin E content: 100 ml (slightly less than ½ cup) of camelina oil contains 150 IU of natural vitamin E, whereas flaxseed oil only contains 26 IU. Vitamin E is an antioxidant, and as such, it neutralizes damaging free radicals formed when the fatty acids are oxidized from air and light. Sea buckthorn berries and seeds are surprisingly high in essential fatty acids, offering more ALA than LA. Its Latin name, Hippophae ramnoides actually means “shiny horse.” Because of its high ALA content, oils derived from this plant offer protection against inflammatory disorders. In particular, studies have shown it to be helpful in preventing glandular ulcers in horses housed in stalls and experiencing periods of intermittent forage feeding.11. Any foodstuff that contains fat will contain a variety of fatty acids. Coconut oil, for example, is often fed to horses and consists of several medium and long chain saturated fatty acids which have varying impacts on horses’ health. Olive oil, rice bran oil, and nuts contain a large percentage of monounsaturated fatty acids (omega 9s), which also influence well-being. Spirulina is highly effective against allergies and offers a significant amount of GLA. While these feeds can be beneficially incorporated into the horse’s diet, their discussion is beyond the scope this article. The table below provides average fatty acid percentages of common oils. Soybean and wheat germ oils contain a small amount of ALA, which is why they are often touted as good sources; however, this is a misrepresentation since these two oils are very high in inflammatory LA. Sunflower seeds are very high in inflammatory LA with virtually no ALA content. When feeding these seeds, it is best to balance them with an appropriate amount of ALA. When forage is predominantly from hay, another source of essential fatty acids needs to be added to the diet. The longer hay is exposed to air, heat, light, and humidity, the faster these fatty acids will become oxidized, rendering them inactive. To mimic what would be found in pasture, the overall essential fatty acid content of the diet should contain more alpha-linolenic acid (an omega 3) than linoleic acid (an omega 6). Take the entire diet into consideration when balancing fatty acids. Consider getting creative with newer choices, such as camelina oil, high-DHA algae and hemp seeds that offer other fatty acids for additional support. 3 Wyss, U., Morel, I., and Collomb, M., 2006. Fatty acid content of three grass/clover mixtures. Grassland Science in Europe, vol. 11, 348-350. 7 Patisaul, H.B., and Jefferson, W. 2010. The pros and cons of phytoestrogens. Front Neuroendocrinology, Oct 31(4), 400-419. 8 Pusceddu, M.M., Kelly, P., Stanton, C., Cryan, J.E., and Dinan, T.G., 2016. N-3 polyunsaturated fatty acids through the lifespan: Implication for psychopathology. International Journal of Neuropsychopharmacology, September (21). 10 Kapoor, R. and Huang, Y.S. 2006. Gamma linolenic acid: An anti-inflammatory omega-6 fatty acid. Current Pharmaceutical Biotechnology, 7(6), 531-534. 11 Huff, N..K., Auer, A.D., Garza, F. Jr., Keowen, M.L., Kearney, M.T., McMullin, R.B., and Andrews, F.M. Effect of sea buckthorn berries and pulp in a liquid emulsion on gastric ulcer scores and gastric pH in horses. Journal of Veterinary Internal Medicine, 26(5), 1186-1191. 12 Dubois, V., Breton, S., Linder, M., Fanni, J., and Parmentier, M., 2007. Fatty acid profiles of 80 vegetable oils with regard to their nutritional potential. European Journal of Lipid Science and Technology, 109(7), 710-732. 13 Geor, R.J., Harris, P.A., and Coenen, M., 2013. Equine Applied and Clinical Nutrition. Table 7-1, page 142. Pubs. Saunders Elsevier. Average of three fish oils: Herring, menhaden, and salmon.